With over 40 years of hands-on farming experience, Bruce knows every nuance of growing Statice. By living on the Nature’s Harvest farm, he can oversee every aspect of the crop’s production, harvest and shipment. 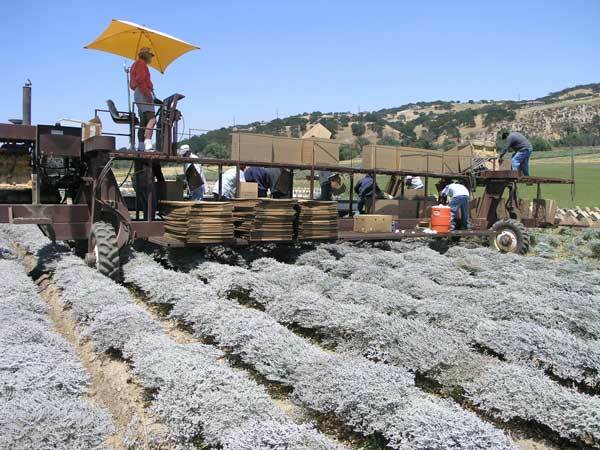 Each year, substantial “field dried” harvests come from the two hundred acre farm located in the ideal climate and conditions of sunny California. Nature’s Harvest has perfected its harvesting operation to ensure the finest quality product is available in huge quantities. As soon as the best blooms appear, the German Statice is cut, packed fresh in custom designed boxes with ventilating air holes, dropped in the field to dry. Once dried, it is taken directly to the storage barn to prepare for shipping. Nature’s Harvest can ship from one case, a large bulk order or a truckload of 1,200 cases. “Pre-booking” orders before the summer harvest for the current buying season is recommended to ensure price and delivery of desired quantities throughout the year and the future. We also encourage you to plan for future purchases now.